Settlement: Failure to diagnose life threatening cardiac problem following open heart surgery resulting in cardiac arrest and death. Settlement: Misdiagnosis and failure to properly treat retinopathy of prematurity in twin boys resulting in blindness. Settlement: Surgical error during liver donor procedure for transplantation results in liver failure. Settlement for a man who suffered hypoxic brain injury after nurses failed to promptly administer CPR when he went into cardiac arrest following successful cardiac surgery. Settlement: Disease left untreated and subsequent negligent attempt at surgery results in permanent waist-down paralysis. Settlement against a Philadelphia hospital for a woman who suffered a stroke and permanent brain damage due to medical malpractice. Settlement: Man dies of sepsis after coronary bypass surgery due to failure to provide appropriate antibiotic therapy. Settlement: Negligent treatment of leukemia results in patient suffering spinal cord injury and quadriplegia. Settlement: Failure to diagnose sodium levels results in pediatric stroke in a nine-month-old child. Settlement: Patient with abdominal and arm pain dies of heart attack while waiting in ER. Settlement: Mistreated infection after childbirth causes sepsis and mother's death. Settlement: Delay in diagnosis and treatment of ruptured spleen results in death. Settlement: Pre-birth malpractice leads to infant's severe mental and physical disabilities. Settlement: Death of patient who suffered perforation and bleeding during sinus surgery. Settlement: Woman paralyzed due to medical errors in treatment following car accident. Settlement: Paraplegic injuries to 11-year old girl following spinal surgery. Settlement: Misplaced tube causes child's intra-operative cardiac arrest, severe injuries. Settlement: Patient not advised of test result showing heart defect dies of heart attack. Settlement: Injuries to infant due to inadequate monitoring of mother after car accident. Settlement: Woman develops pneumonia after surgery, suffers quadriplegic injuries. Settlement: Patient’s heart punctured during placement of port, results in heart attack. 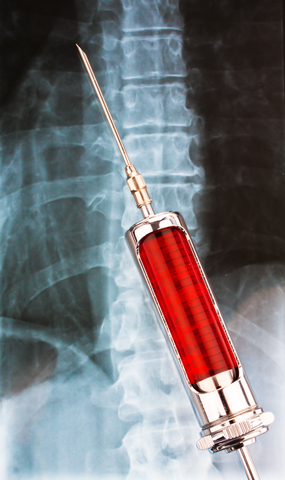 Settlement: Failure to relieve a spinal abscess causing permanent paraplegia. Settlement: Child with history of leukemia dies of acute bleeding due to over-transfusion. Settlement: Misdiagnosis leads to prolonged hypoglycemia, woman’s death. Settlement: Botched CV line placement, delayed diagnosis leads to leg amputations. Settlement: Mismanagement of blood pressure during anesthesia causes stroke. Settlement: Woman suffers stroke following a transcatheter closure procedure. Settlement: Medical malpractice leading to cardiac arrest following car accident. Settlement: Early withdrawl of antibiotics leads to infection, hydrocephalus. Settlement: Injection causes hematoma on spine, paralysis. Settlement: Spine and brain trauma to psychiatric patient who fell in hospital. Settlement: Surgery results in sliver of bone pressing against spine, paralysis. Settlement: Pediatric ICU and endocrinologic malpractice results in brain injury. Settlement: Missed uterine cancer diagnosis leads to spread of the disease. Settlement: Montgomery County verdict for woman injured during routine sinus surgery. Settlement: Missed diagnosis of clogged intestine in ER leads to fatal heart attack. Settlement: Missed spinal cord compression symptoms result in neurologic injuries. Settlement: Medical malpractice involving valve surgery results in death. Settlement: Missed breast cancer diagnosis delays treatment more than two years. Settlement: Failure to properly read scan leads to cancer, multiple surgeries. Settlement: Late diagnosis and treatment of epidural hematoma causes quadriplegia. Settlement for a woman in a case involving a medication error that resulted in eventual strokes. A fungus-contaminated batch of steroidal medicine injected into patients to treat back pain has resulted in a nationwide outbreak of meningitis that has caused severe illnesses, including strokes and a number of deaths. In all, 17,676 vials of the unsafe drug made by a Massachusetts compounding pharmacy was sold to 75 clinics performing spinal injections in 23 states. The latest report counted 391 cases of infection and 28 fatalities, with the toll continuing to rise. In one case, the firm obtained a confidential settlement in the highly publicized case of a 19-year-old University of Pennsylvania student who died after hospital physicians failed to admit her despite classic symptoms of meningitis. (See news coverage) In other cases, Kline & Specter won settlements of $17 million, $7.9 million and $6 million in cases involving meningitis illnesses. Meningitis caused by a fungus (rather than more common forms caused by viruses or bacteria) is considered the hardest to treat and the most serious because it can cause strokes. Indeed, some of the victims have reported suffering strokes. The injectable medication in question, methylprednisolone acetate, was made by the New England Compounding Center. Health officials said they believed the bad batch contained a fungus, according to news reports. One clinic which had 186 patients injected with the suspect steroid compound reported having about two dozen cases with symptoms indicative of meningitis. Those patients underwent spinal taps to test for the disease. Symptoms of meningitis include high fever, stiff neck, neck and shoulder pain, sensitivity to light, nausea and vomiting, confusion, sleepiness and seizures. At this time, Kline & Specter is not accepting cases involving contaminated spinal injections from the New England Compounding Center. Verdict against Johnson & Johnson for an Altoona, Pa., woman in a vaginal mesh case. The verdict included $100 million in punitive damages.